"Shopping for a notebook involves a delicate balance between battery life, performance, usability, and price. No two users share the exact same criteria for what they consider the right blend. That's why we try to evaluate mobile platforms based on their perceived strengths. Take last year's Netbook Buyer's Guide as an example. We considered the fact that some buyers are willing to spend more for battery life and forgo a bit of performance. Others are willing to pay an extra $100 or $150 to get both. Another group cares more about usability. The list of ways to break even this one specific market into tiny pieces goes on and on." 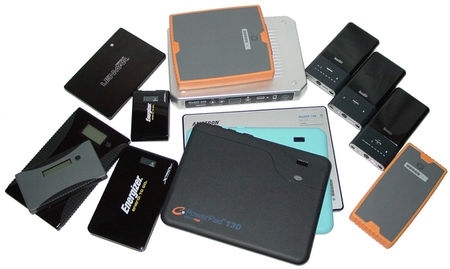 Looking to get more run-time out of your laptop or tablet? These external batteries are your ticket - though all are definitely not created equal. I've been a fan of external batteries for years, though I've always ran into the same problem: I'd get an external battery, it would work great with my current laptop, then I'd upgrade the laptop and the external battery would support my new laptop. The myriad of changing tips and the weird incompatibilities introduced by the laptop OEMs when it comes to third-party power solutions - my Dell Vostro V13 won't charge from my iGo Juice for instance unless it's in sleep mode, and Apple is infamous for making life hard on the people who make these products - can make for a lot of headaches. On the plus side, when you have a combo designed to work together, it can be handy - I have a Tekkeon MP3750 that was sent to me for review, and I've used it with my Dell V13 with great success. Carrying an external battery can add to your overall travel weight, but if you need to work for long periods on your laptop or tablet device, they can be worth their weight in gold!